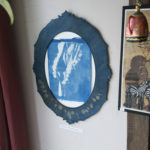 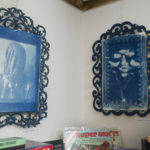 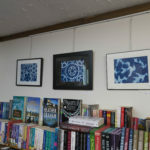 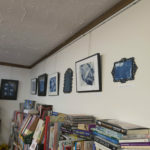 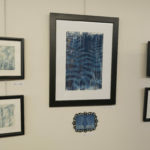 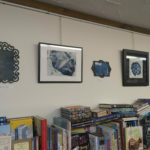 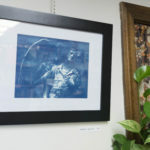 Called into our cyanotype show at the Booklovers Gourmet, 55 E. Main St, Webster MA to take some pics. 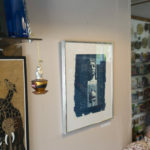 Great display and a very interesting shop! 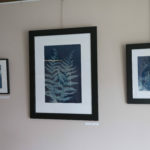 Had a great chat with three locals who were fascinated by the cyanotype pictures. 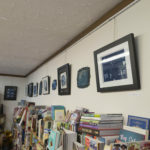 Be sure to check it out as well as our exhibition at Whitinsville Antiques which now has even more artwork on display!